What kind of music do you like. Is it Pop, Alternative, Classic Rock, Metal. What exactly are you passionate for. I started listening to the Stone Temple Pilots and Nirvana when I was about 14 years old and I fell in love with the sound of Grunge. However I knew nothing about guitars and was fooled into buying a half dead First Act from a supposed friend. For those of you who don't know First Act is Walmart brand and they are absolutely terrible. No tone horrible wood bad pickups just crappy everything. Now back on point any guitar can play anything you can think of. There's no one set of rules when it comes to sound. Its what sounds good to you. If you buy a piece of crap its gonna feel, sound , and play like a piece of crap. As I said in the first paragraph my first guitar was a First Act a piece of crap.When you go out looking for your first guitar theirs certain things you should look for.Check the machine heads to make sure there not loose. If the guitar has been strung the right way they should be stiff and hard to move when tuning up. Are there any rusty parts or oxidation that you can see. 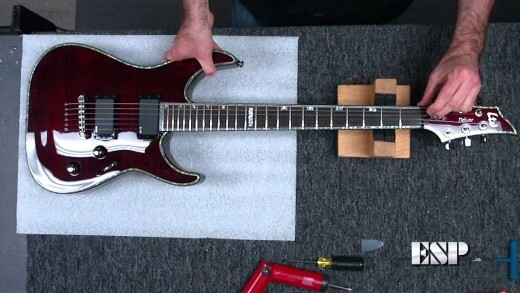 Grab the pickups and push side to side to see if they have excessive movement. A little play is fine but if you can flick them from side to side something is wrong.If you have a smart phone check out the brand and see what others have to say about it.Most of all if theirs ann amp pick it up and play it. Even if it is in great condition you won't know if you like it till you play it. I'll give you a few good brands to go with. Ibanez, Gibson, Fender, ESP, Schecter ,Epiphone, Charvel,Dean just to name a few. The first type of pickups that came were single coils. They had a nice bright twangy tone that was used for anything but it was mostly blues and jazz back than. There was one issue, they had a tendency to hum badly in some positions which was caused by interference.To counter this Seth E. Lover who was the designer for Gibson Guitars in the 1930s created Humbucking pick ups to "buck" the hum. Along with these pickups came a darker tone that hadn't been heard before that would later become the sound of a Gibson. Once again its all in what you like and what you wanna hear. I play metal rock and jazz so I have different types of guitars for each style. Did you just start playing yesterday or are you a virtuoso like Steve Vai or Joe Satriani. That is something you want to think about.If you just started playing do you really need a $5000 Custom Shop Les Paul? Every guitar company makes different guitars for different levels of players. 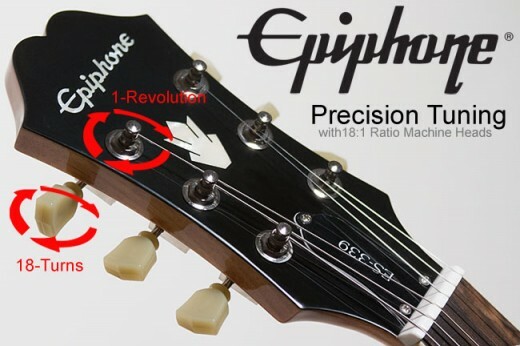 Epiphone is very good if you're not ready for a full blown $700 Les Paul Studio.A Squier or a Mexican Strat instead of an American standard Stratocaster. Even when things get more expensive theirs still options.My advice would be to shop around the pawn shops in your local area. The type of wood a guitar is made of has just as big of an impact as the type of pickups. 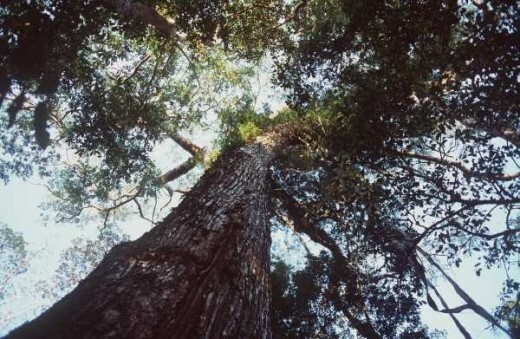 Most guitars are made up of multiple types of woods. I've seen guitars with three types of wood Ebony fret board Mahogany body and a Maple neck. Every wood has its own tonal quality. Maple,Ash,and Alder have a somewhat brighter tone while Mahogany, Ebony, and Rosewood have darker tones. Its all about whats good to your hears, after you play for awhile and figure out what you like some companies will custom build you a guitar to whatever specs you desire. Brand is a touchy subject some people swear by it. I personally buy what ever sounds good to me. Ive had a ESP, Schecter, and Epiphone. 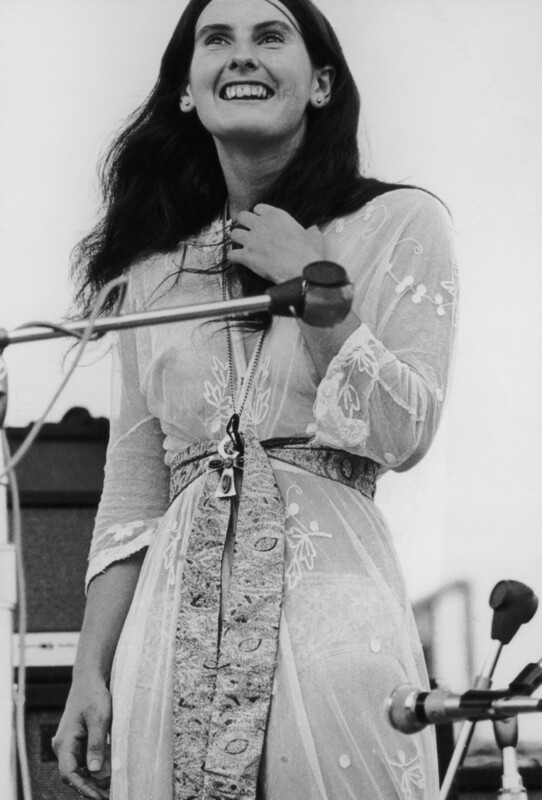 But one of my favorite guitars is a brand I had never even heard of that. There are types of people who buy guitars as status symbols while others will only buy the most expensive guitar they can find.To me a Les Paul is a beautiful guitar however why would I by a $2000 Gibson when I can get a high end ESP or Ibanez with more bells and whistles. 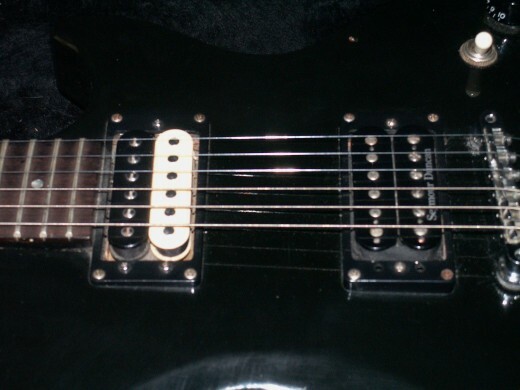 Or you can just buy a budget guitar as I did and hot rod it like I have with the one in my profile picture. With any Instrument its all about you and what you enjoy.Never let anyone tell you what you like. If you've ever played guitar hero on the controller theirs this thing the game refers to as a whammy bar. The correct name for this mechanism is a Tremolo. 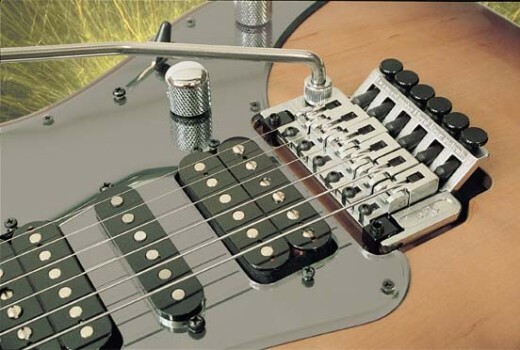 A device used to change notes by pushing or pulling on the handle attached to the tremolo.This is a favorite tool of Van Halen's Eddie Van Halen and Steve Vai.Both of these gentlemen use a more extreme version of a tremolo called a Floyd Rose. These have much more play allowing for more notes to be attained along with being able to take more abuse. 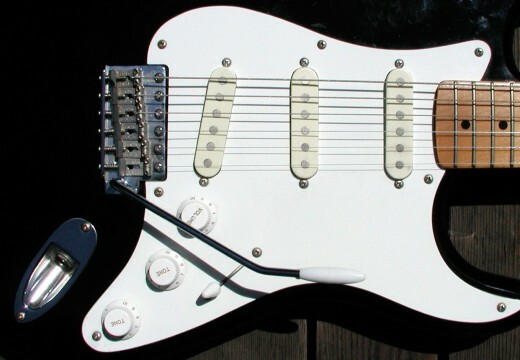 On the other side there is the more traditional fender style tremolo that is standard on any Stratocaster.Both systems have advantages and disadvantages. For instance a Floyd Rose may give you a wider range of notes to play with but tuning a guitar with one is a nightmare. While a traditional Fender tremolo system doesn't have as much play or durability.Simply put unless you'll be doing screaming metal dive bombs like Steve Vai and Darrel "Dimebag" Abbot get traditional system. They do just fine for all types of music with the exception of Metal.Above is a video of Rob Chapman giving a stellar example of what a Floyd Rose is capable of. Standard tuning for a 6 string guitar with a traditional scale length is EADGBe. What that means is from the thickest gauge string to the thinnest is gauge string those are the proper notes for the tuning. There are many different tunings that can be used for guitars of traditional scale length. For instance Drop D was a popular tuning during the Glam metal days of the 80's. What makes this tuning so popular is the fact that you only drop the low e string a full step down to D everything else remains the same (DADGBE). While reading this you've been hearing me talk about scale length.Scale length is another factor in tone but mostly a sign of how low a particular guitar can be tuned while sustaining tone and usability. For instance the average guitar you'll see will be between a scale length of 24 to 25.5 inches. These scale lengths are good all the way down to Drop C (CGCFAD). You could tune down further but the strings begin to have a lot of slack and fret buzz can become a major issue. You could also get a thicker set of strings but that only goes so far.For tunings such as Drop B , B standard or below I recommend getting a baritone guitar or 7 or 8 string guitar.These usually have scale lengths of 26.5 and above making them ideal for low tunings.I'll leave a list of tuning below.Feel free to ask questions in the comment section.